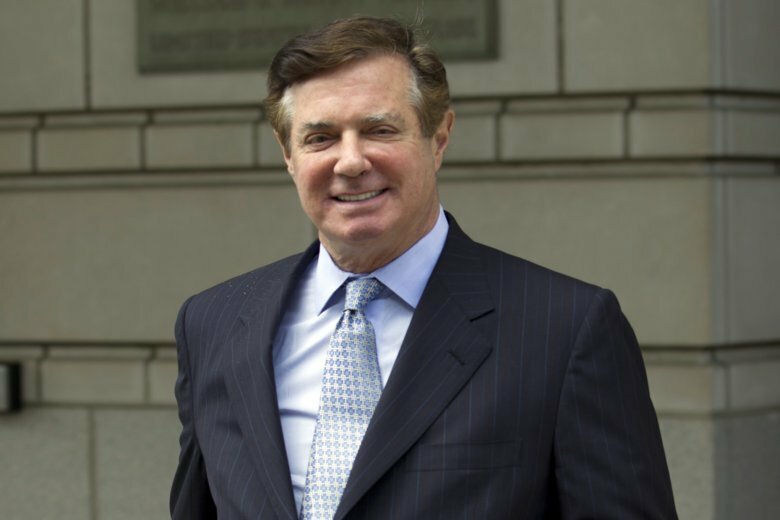 WASHINGTON (AP) — Paul Manafort’s plea deal went up in smoke this week. It didn’t even last three months. The former Trump campaign chairman’s cooperation agreement with special counsel Robert Mueller unraveled , prosecutors say , after he repeatedly lied to investigators, an allegation Manafort denies. The extraordinary dissolution of the deal means Mueller loses a witness in his Russia probe. But it’s a potentially bigger loss for Manafort come sentencing time. And it raises important questions about the state of the Russia investigation. Manafort cut a deal with prosecutors in September, agreeing to plead guilty to two felonies and cooperate with Mueller’s team “fully, truthfully, completely, and forthrightly.” In exchange, prosecutors agreed that if he provided “substantial assistance” they could help him get a lighter sentence. The deal headed off a second trial for Manafort related to his Ukrainian political consulting and unregistered foreign lobbying. He was previously convicted at trial of eight felony counts in a separate case. WHY DOES MANAFORT MATTER TO MUELLER? Manafort knows a lot about Donald Trump’s presidential campaign — and he is an eyewitness to at least one key meeting under investigation by the special counsel. While leading the Trump campaign in June 2016, he joined Donald Trump Jr., Jared Kushner and a Russian attorney at Trump Tower for a meeting, which Trump Jr. had been told was part of a Russian government effort to help his father’s campaign. Mueller has interviewed several participants in the meeting. Manafort also can offer his recollections of discussions with Donald Trump during the months he led the campaign. Manafort was at the helm when Trump made some public pronouncements that have caught Mueller’s attention, including Trump’s famous late July 2016 invitation for Russia to hack Democrat Hillary Clinton to find 30,000 missing emails. Manafort could also offer federal prosecutors in New York help with an investigation into Ukrainian political work he led and whether others were acting as unregistered foreign agents. That probe is examining the conduct of Democratic lobbyist Tony Podesta, former Obama White House counsel Greg Craig and former Republican congressman and lobbyist Vin Weber. None of the three has been charged. WHAT DID MANAFORT LIE ABOUT, ACCORDING TO PROSECUTORS? We don’t know yet — but we will soon. Prosecutors were vague in court papers. They only wrote that Manafort lied to the FBI and the special counsel’s office on “a variety of subject matters.” But they promised U.S. District Judge Amy Berman Jackson that they will lay out “the nature of the defendant’s crimes and lies” in a later filing. For his part, Manafort disputes he lied. He said he truthfully answered investigators’ questions on numerous occasions. More details could emerge Friday when Jackson hears from both sides about next steps in the case including the possible setting of Manafort’s sentencing date. WHAT’S THE IMPACT ON THE INVESTIGATION? Mueller’s team hasn’t revealed the substance of Manafort’s interviews and neither have his lawyers. But the fact that Mueller’s team believes they’ve caught Manafort in a lie suggests they already know a lot about the episodes he was questioned about. The value of Manafort’s cooperation has also likely gone down since he held out for so long while Mueller’s team vacuumed up millions of pages of documents, interviewed scores of people and gained other key cooperators, such as former National Security Adviser Michael Flynn. And Mueller still has Manafort’s right-hand man, Rick Gates, as a cooperator. Gates spent more time on the campaign and later served on the presidential inaugural committee, potentially giving him more insight than Manafort into the actions of the president and people around him. WHAT DO MUELLER CRITICS SAY? The episode could feed into criticisms that the president and other Trump allies have lobbed at Mueller. He did not specify where he received the information or whether it involved Manafort. But others involved in the case have similarly complained about the conduct of Mueller’s prosecutors. Jerome Corsi, a conservative writer who has pushed numerous conspiracy theories, said earlier this week that he rejected a Mueller plea deal, telling news outlets that prosecutors wanted him to admit to lying when he believes he didn’t. Trump associate Roger Stone, whose possible connection to WikiLeaks is being scrutinized by Mueller’s team, has also made similar complaints about prosecutors’ tactics with other witnesses. IS THIS POSSIBLY A PARDON PLAY? In the wake of Manafort’s conviction in August, Trump lawyer Rudy Giuliani told The New York Times that he and the president discussed the political consequences of pardoning Manafort. But there have been few signs since that a pardon is still on the table. For their part, Manafort’s attorneys aren’t saying. And on Tuesday, Giuliani told The Associated Press that Trump is not considering a pardon at this time. “The president could consider it at an appropriate time as Manafort has the same rights as any American,” Giuliani said.